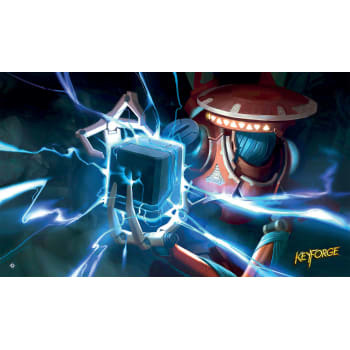 Field your spectacular clashes in style with the Positron Bolt Playmat for KeyForge: Call of the Archons! Whether you are participating in a high-caliber tournament or simply playing around the kitchen table, this high-quality playmat presents your cards in stunning fashion, featuring rich art from the expansive and enigmatic world of KeyForge. 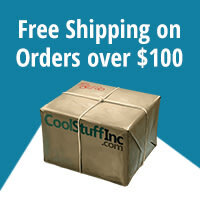 This 24" x 14" mat provides the perfect play surface to protect your cards from stains and spills, keeping the focus on your adventures in the Crucible. Displaying an electric art piece to embrace your Logos pride, this mat keeps your chaotic clashes both organized and immersive.